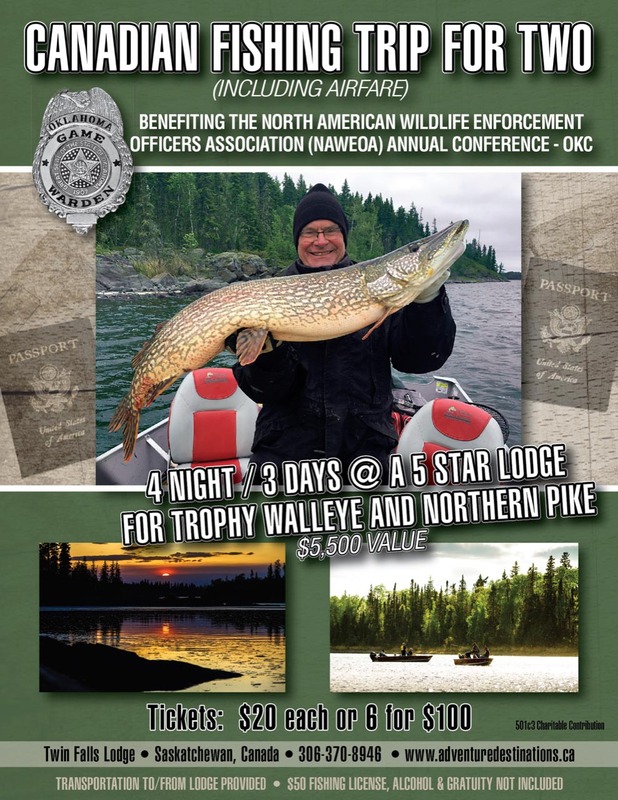 The Oklahoma State Game Warden Booster Association is holding this raffle to benefit the North American Wildlife Enforcement Officers Association (NAWEOA) Annual Conference which Oklahoma will be hosting in July 2019. The NAWEOA conference will bring Game Wardens and Conservation Officers from all fifty states and Canadian provinces together to discuss conservation issues, train, award, and remember those officers who have made the ultimate sacrifice serving the public. 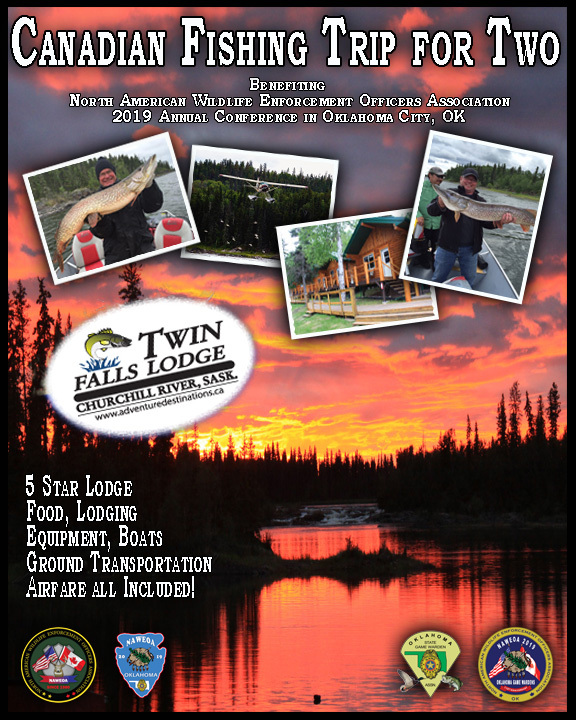 You will be entered to win a Canadian Fishing Trip for Two at a 5-Star Lodge in northern Saskatchewan, Canada. The Twin Falls lodge is the gateway to explore remote lakes teeming with trophy walleye, whitefish, perch and giant northern pike along the cold, clean waters of the Churchill River system in northern Saskatchewan. This once in a lifetime trip includes your lodging, meals, equipment, boats, ground transportation and airfare (a value of over $5,500).